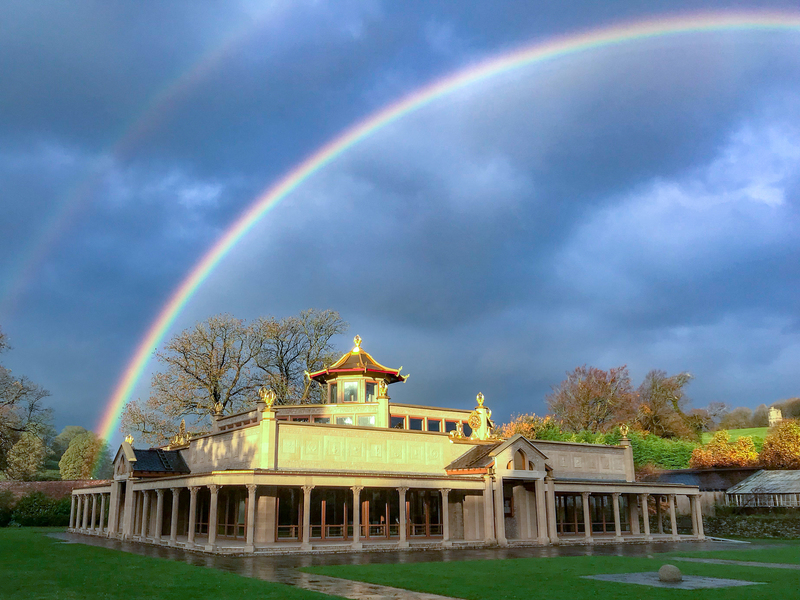 For those fortunate enough to attend, this weekend promises to be a special time at Manjushri KMC, the mother center of Modern Kadampa Buddhism. The Temple will be filled with around 500 people expected for Gen-la Dekyong’s course on the uncommon yoga of inconceivability, and over 100 staying on for the retreat with Gen Kelsang Tharpa. This is one of two special weekends held at Manjushri KMC each year with Gen-la Kelsang Dekyong, the General Spiritual Director of NKT-IKBU and Resident Teacher of Manjushri KMC. For booking and information on this weekend and other courses with Gen-la at MKMC visit the MKMC webpage. Through the kindness and vision of Venerable Geshe Kelsang Gyatso Rinpoche, there are now over 1,300 Kadampa Buddhist Centers around the world, all of which will be engaged in Dharma activities at this time. How wonderful to witness Venerable Geshe-la’s vision unfolding as more and more people throughout the world have the opportunity to meet Kadam Dharma and bring real peace into their lives.